Here are the newest changes or additions that were made to our BuddingScholars educational toys site. Keep looking for further improvements and additions. If you have suggestions, requests, comments or questions, please feel free to use our Contact Us form found the navigation button on the left. 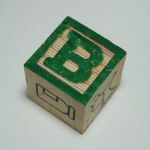 That's right, you can even become part of the Educational Toys Blog! Simply tell your favorite educational toys story or tip here! A link to your submission will be included below and will become a permanent part of the site for others to read! Continue reading "A Child Uses Educational Toys to Learn"
Play can be divided into two large groups. Discovery and Imaginative. Imaginative play fosters creativity and lateral thinking ('out of the box') and helps to teach social skills. Looking for alphabet games for kids? Keep these important points in mind. Continue reading "Alphabet games for kids"
LEGO is probably one of the most popular construction toy of all time. From double size Duplo blocks to Star Wars, LEGO satisfies all age groups and skill levels. Continue reading "LEGO. The single most popular construction toy for all ages"
Discovery play and imaginative play make up the majority of a child's play-life. It helps them to foster curiosity and to discover things on their own about the world. Continue reading "Discovery play is an important part of a child's life." Great educational toys & games for infants, toddlers and preschoolers. Can educational toys help my child learn better? Educational toys are a great way to help children learn and practice essential life skills such as use of active imagination and social skills. Continue reading "Great educational toys & games for infants, toddlers and preschoolers." Would you like to share your knowledge about educational toys? Great, find out how you can submit your story or tip here. Continue reading "Contribute To Educational Toys"
Continue reading "Lamaze toys -one of the most popular infant developmental toys"
Look through this quick page for key information about infants, their toys, developmental milestones, and activities.